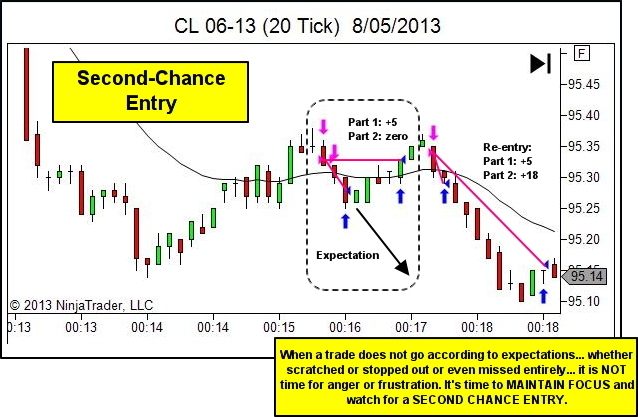 A trade is NOT over until the whole idea behind the trade is no longer valid. 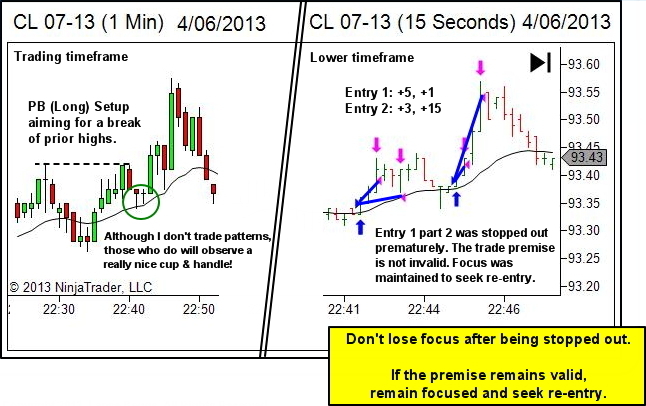 If you're stopped out, or if you scratch the trade, the trade is NOT over. 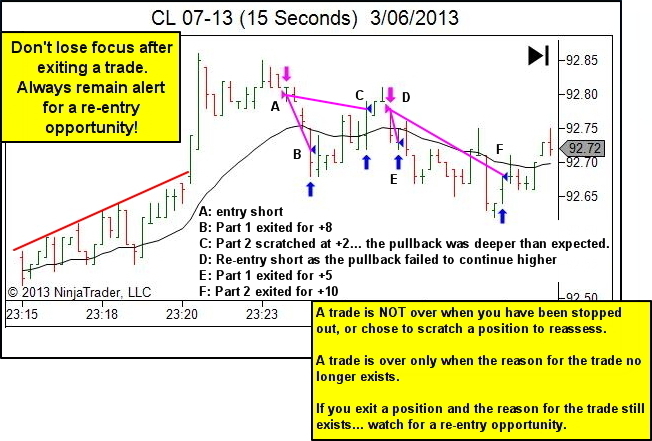 Watch for an opportunity to re-enter.